Ever stood in the drugstore aisle and the product selection just made you dizzy? Do you wish you had a magic skin care genie that you could ask questions? 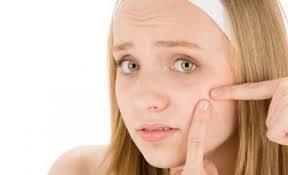 Do you have bad skin and lack the information to care for it properly? In fact, that is the driving force behind most people deciding to become licensed Estheticians. We understand how it feels and how complicated skin care can be. Good news! We are here to help! Even better news…it’s FREE! What the heck is an Es·the·ti·cian (esTHəˈtiSHən) anyway ? 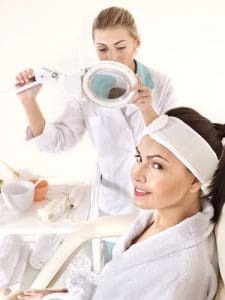 An Esthetician is a licensed skin care professional. Although licensed by the board of cosmetology, Estheticians spend all of their education learning strictly about skin. Estheticians also have access to special products with active ingredients that can’t be purchased over the counter. In addition, they can provide skin care treatments including facials, chemical peels etc. Believe it or not, your skin’s health is mostly in your hands. About 85% of you skin’s performance is determined by how you take care of it at home. Want to learn what to do? Our licensed Estheticians are highly sought after professionals and are passionate about skin care. We would love the opportunity to help you with your skin care needs. For best results arrive with clean face, no make up.